Alcohol free options are becoming ever popular. People want to be social and still have the ability to drive or wake up without a hangover. Luckily, Club Soda are highlighting this in their Mindful Drinking Festivals. These festivals occur twice a year in the summer and winter months and OninLondon were lucky enough to attend the Mindful Drinking Festival on Saturday 28th July. 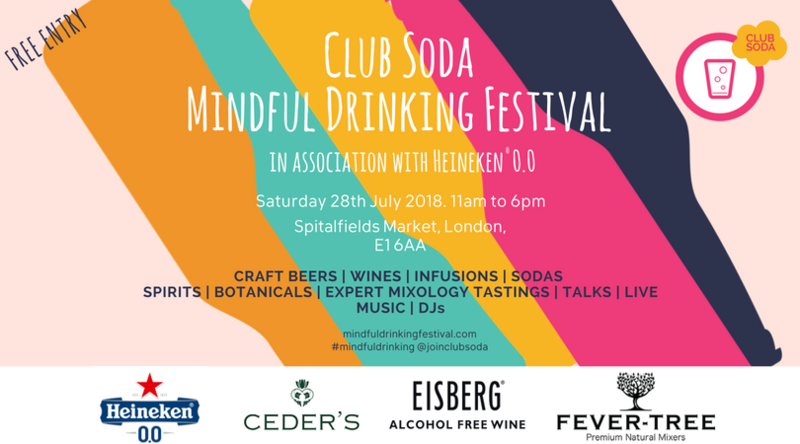 In association with Heineken 0.0, the Mindful Drinking Festival showcases a range of new alcohol-free craft beers, wines, spirits, mocktails and soft drinks from over 40 nations. Heineken 0.0 provides the perfect session beer for those that want the enjoyment of beer without the consequences alcohol brings. Eisberg alcohol-free wine is perfect for the mum’s to be that don’t want to miss out on the fun. Or Ceder’s new ‘alt-gin’ is an alcohol-free gin range of classic, wild and crisp which pair well with a Fever Tree tonic for all the fitness junkies. These options provide the fun without the headache or extra calories. Perfect for someone like myself doing a fitness program. But still wanting to be social. On the day we attended numerous classes and seminars plus tasted nearly all the beverages the stalls had to offer. We started with a non-alcoholic beer tasting class with Jane Peyton – a top beer sommelier. This class provided a range of alcohol free options from your lighter beers down to your dark porters and stouts. It was hard to believe some of these were alcohol free as they tasted fantastic. Favourites were the Heineken 0.0, Bitburger Drive and Braxzz Non-Alcoholic Porter. I loved the history behind the beers and how the movement is shifting to more non-alcoholic options. Next was the QUIT Lit Book Fest which had a panel of authors discussing their previous experiences with alcohol and how they have moderated or eliminated it from their life. It was a very interesting discussion and Q&A event. I found a lot of points useful for what I am currently going through myself. We then ducked over the road to a make our own mocktail class provided by Be at One. I made and Passionate Pomme made with a combination of passionfruit, manuka honey mix, pomegranate juice and coconut water. Delicious flavours without the price tag of a cocktail. Lastly, we finished with The Perfect Serve with Fever Tree. This event showcased all the non-alcoholic spirit options that could pair perfectly with the Fever Tree range. It ranged from companies who are already in production to some who are in development now. Samples of the spirits were paired with the range from Borrago, Berkshire Blend, Sea Arch and more. My favourite from the day was a toss-up between Sea Arch non-alcoholic gin or Ceder’s Wild ‘alt-gin’. Between all these sessions we tasted numerous non-alcoholic options at a range of stalls from Heineken, Gordon’s, Ceder’s, Old Mout Cider, Borrago and many more. All the beverages were refreshing and light. 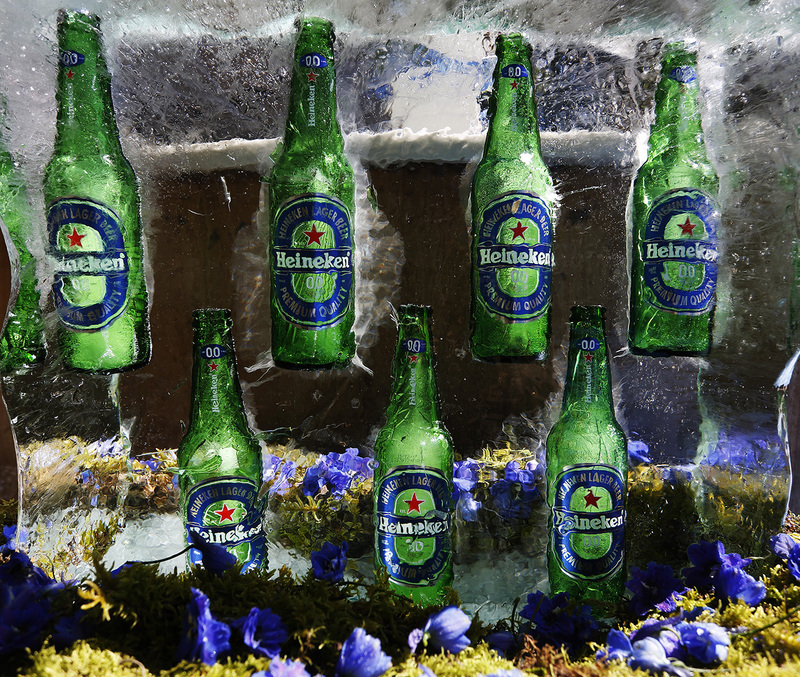 Perfect to be enjoyed in the sun with the music provided on the day. Mindful Drinking Festival promotes an alternative way to look at socialising. Not all nights out need to be filled with intoxications and hangovers. Also, non-alcoholic options no longer need to feel limited to soft drinks and water. Socialising can be fun and enjoyable for all. Whether you want to cut back on your alcohol consumption or eliminate it from your life all together. Club Soda hold a variety of events including a sober pub crawl where the pubs visited sell the non-alcoholic options showcased at the event. This provides you with more insight on where to attend if you want quality non-alcoholic options. I think we are on the verge of a revolution on how we look at the way we consume alcohol in our lives. Plus, the growth of more non-alcoholic options which provide quality ingredients and flavours to our well-known beverages consumed for years.